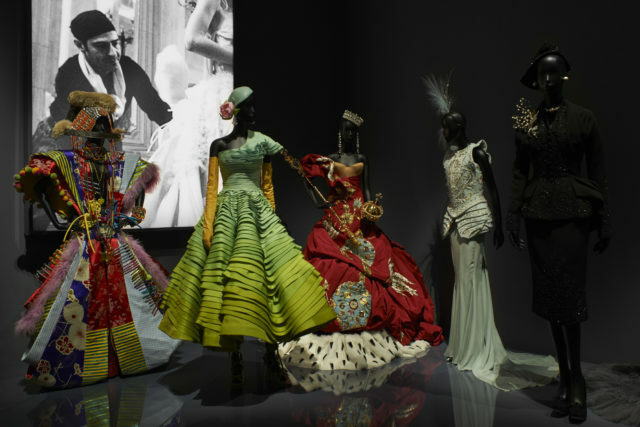 Christian Dior: Designer of Dreams is the V&A’s biggest fashion exhibition since Alexander McQueen: Savage Beauty in 2015. 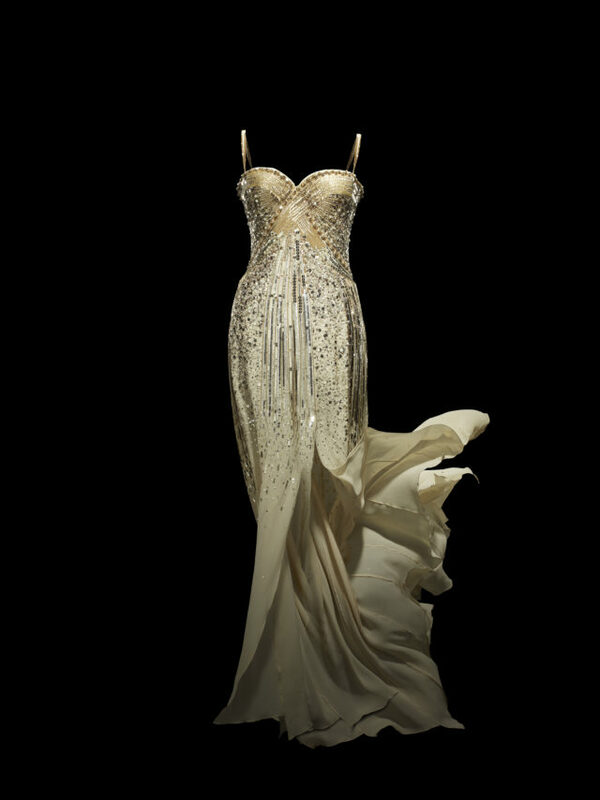 It features dresses worn by actresses Jennifer Lawrence and Charlize Theron, ballet dancer Margot Fonteyn and author Nancy Mitford, as well as hundreds of items that have never been displayed before. 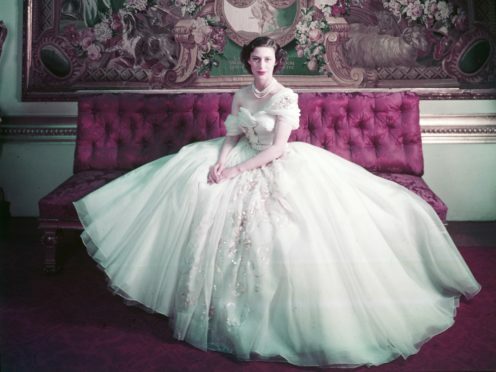 The gown designed for the royal was made famous when it was photographed by Cecil Beaton in her official birthday portrait in 1951. 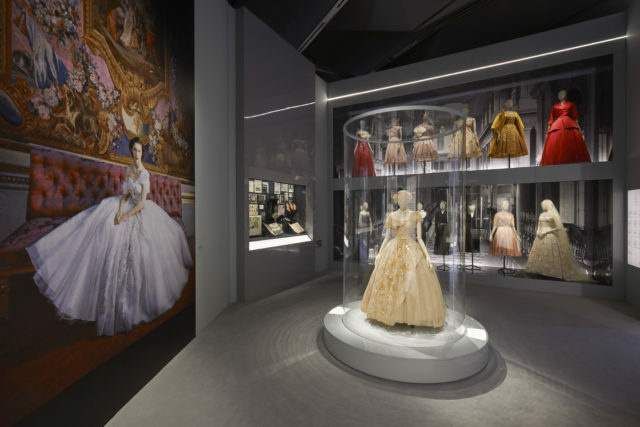 The exhibition traces the history and impact of the influential couturier, as well as the six artistic directors who have succeeded him, starting with Dior’s childhood and early career as an art gallerist and fashion illustrator before he founded the couture house. It features the Bar Suit, the centrepiece of Dior’s famous New Look, which redefined the female silhouette after the Second World War and launched with his first collection in 1947, and then his 10 defining looks until his death in 1957. It also examines Dior’s fascination with British culture and his collaboration with British manufacturers, as well as the development of Dior perfume. Some 500 items, including 200 rare haute couture garments, and 162 objects that have never been displayed before, make up the exhibition, which shows how the six successive artistic directors – Yves Saint Laurent, Marc Bohan, Gianfranco Ferre, John Galliano, Raf Simons and Maria Grazia Chiuri – have impacted the fashion industry while maintaining Dior’s original vision. Oriole Cullen, fashion and textiles curator at the V&A, said: “In 1947, Christian Dior changed the face of fashion with his New Look, which redefined the female silhouette and reinvigorated the post-war Parisian fashion industry. 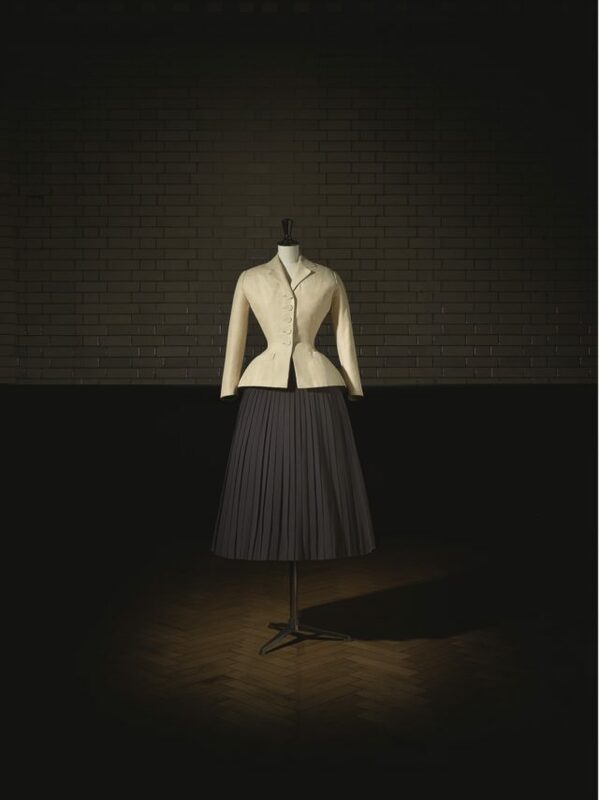 “The V&A recognised Dior’s important contribution to design history early on in his career, acquiring his sketches and garments from the 1950s onwards. “The influence of Christian Dior’s design was all-pervasive and helped to define an era. 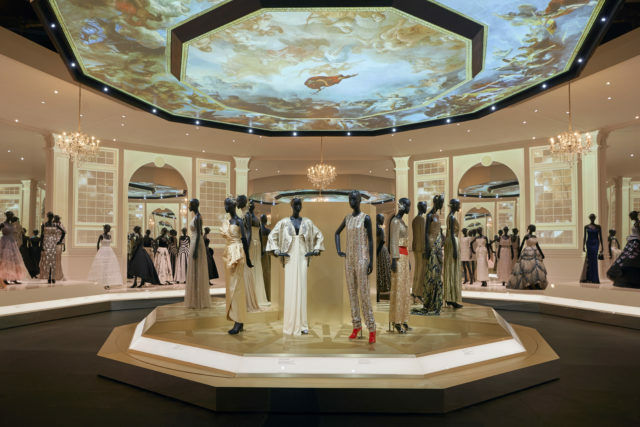 “In their own individual ways, each of the House’s successive artistic directors have referenced and reinterpreted Dior’s own designs and continued the legacy of the founder, ensuring that the House of Christian Dior is at the forefront of fashion today. Christian Dior: Designer of Dreams runs from February 2 to July 14 2019 at the V&A in London.